A great big THANK YOU to Nicole Anderson Cobb for writing an article on The Gun Play(s) Series that you can find in the July/August 2017 issue of The Dramatist Magazine! The Celebration Company at the Station Theater is proud to announce the Gun Play(s) Series that will feature ten 10-minute plays about gun violence in America throughout its 45th season. 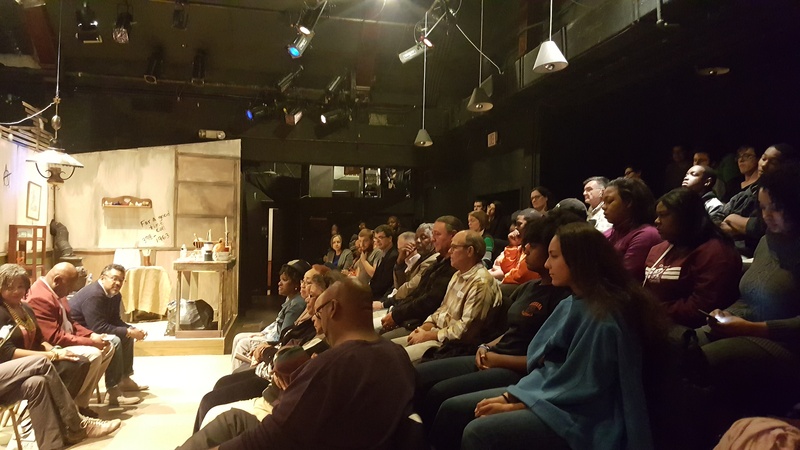 Four years ago Nicole Anderson-Cobb, PhD put out a call for playwrights to respond to gun violence in the artistic form of 10-minute plays. The response was overwhelming causing her to enlist colleagues from across the country to read, summarize and evaluate over 200 submissions. We are making a home for her efforts here. Per the schedule below, each Monday evening there will be dynamic staged readings of two 10-minute plays followed by a discussion with various community panelists. We hope you will “Like” our Facebook page and join the conversation.